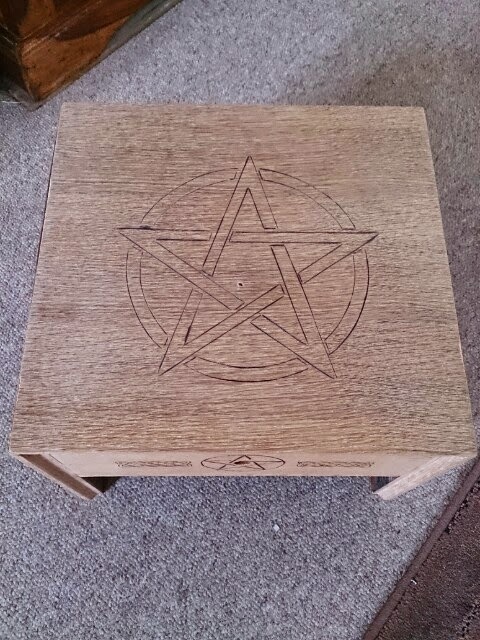 Well, it’s been a while since I did a project so I thought I’d make an Altar. 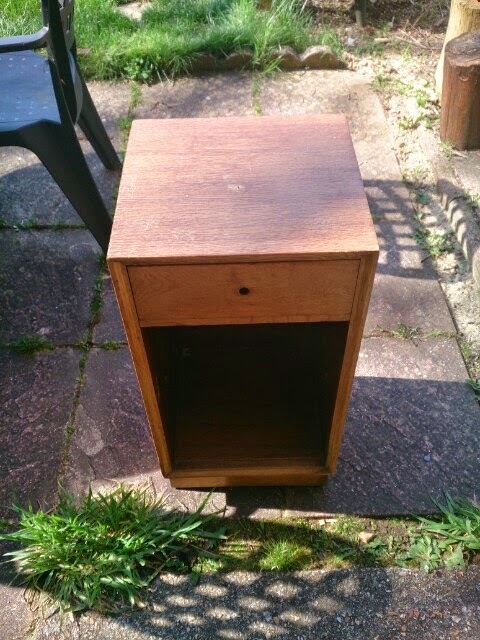 Firstly, I had to source a suitable item to use, this was found and started out as a tall bedside cupboard. Once measured up to the appropriate size that I required it was out with the electric saw and down to size it goes. The top of the unit was all that I required and once it had been sanded back, it gave me a good base to work from. I chose to keep the designs simple on the altar as too much artwork would not have the desired look and would make it look too fussy. 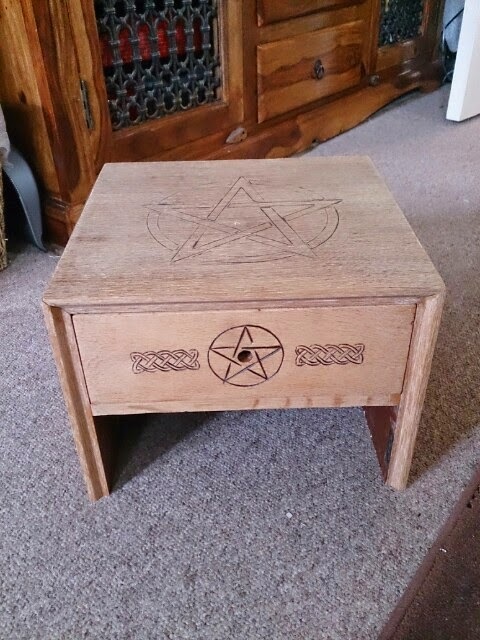 So my choice was a large pentagram on the top with a small one on the drawer front and two triquetra symbols, one on either side. 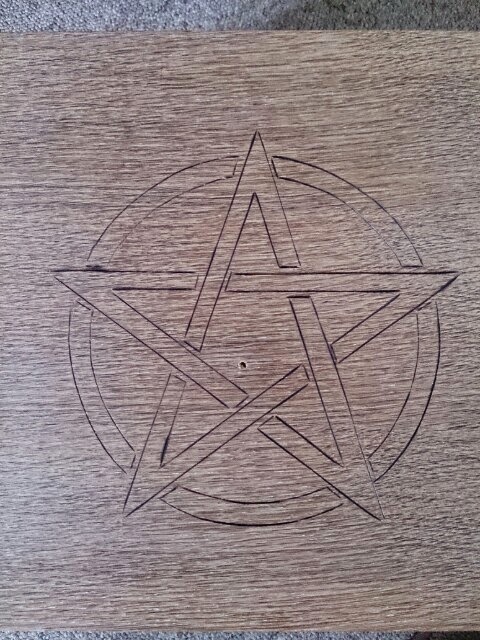 Just to add a little extra to the drawer from, a simple Celtic knotwork design was added. Now that the design had been added to the altar, I had to fix a new base to it so that a storage shelf could also be provided for the safe storage of bigger items. Using the side of the cupboard, I fitted a piece into the bottom of the unit. The cupboard was then stained using teak wood stain and by adding a little sanding technique I have given it an aged look. 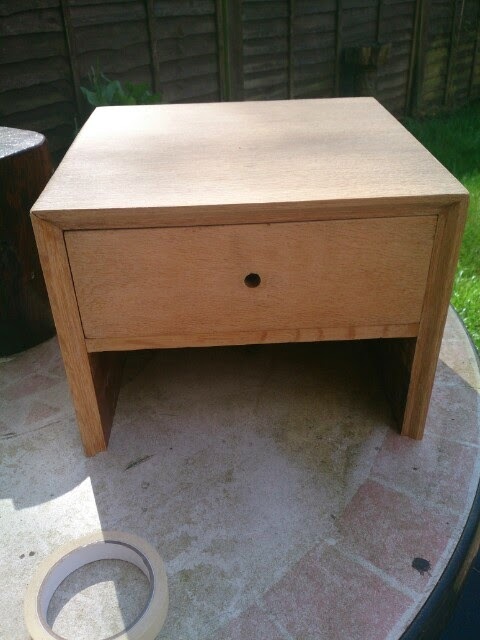 Once the stain had fully dried, 4 layers of varnish were applied to give it a hard wearing coating and the drawer and base lined with black felt to protect any surface it was placed onto and any items placed in the drawer. The hardest decision was, what to do for a drawer knob. After a while of trying various items, of which none were suitable, I made one from slate. Carved a triquetra onto it and then painted it gold. After the varnish had been applied to it to protect the gold, it was attached and the altar was finished. I hope you have enjoyed reading about this project and will tune in again for my next one. It has been started and I will be posting regular updates on Facebook. Once it is finished though, I will be posting the story here on my blogg. Thanks for taking the time to read this and please come back for more.